Avast Pro Antivirus is advanced security for your personal computer (PC) or laptop that combines antivirus and antimalware protection with other technical features designed to help prevent a cyberattack. Work for Avast Pro Antivirus? Learning about Avast Pro Antivirus? Avast Pro en lo personal es el mejor Antivirus gratuito que existe, detecta todo tipo de virus así como aquellos que tienden a modificarse, es muy liviano, de pocos requerimientos, se actualiza diariamente, mantiene tu sistema protegido en tiempo real y vías de mayor acceso de virus. Avast te brinda una licencia valida por un año la cual puedes renovar por otro año más al culminar el primero. Si no contamos con internet el antivirus no podrá actualizarse, y lo correcto es mantenerlo actualizado. Avast por lo general consume muchos recursos de nuestro ordenador. Otra de las cosas es que el antivirus no realiza una limpieza al navegador que uses ni tampoco limpia los archivos basura de tu PC. No cuenta con cortafuegos ni protege tu equipo de rasomware, que es uno de los ataques mas peligrosos que existe. Contar con protección de Rasomware seria algo magnifico, al igual que contra Backdoors. Que no consuma tantos recursos de nuestro equipo y que limpie los navegadores y archivos basura. 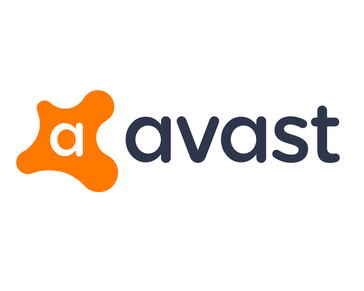 Avast Pro Antivirus nos ha brindado protección y una gran confianza en el manejo de nuestros equipos de la empresa, manteniendo así nuestros documentos y archivos libres de cualquier problema provocado por virus. "Avast Pro Antivirus: Super protection software"
As a computer specialist at Fatadata, I have to ensure that our systems are secure. We’ve been using Avast Pro Antivirus for most of our system security need and the result is reassuring. The good thing with this Antivirus software is its intelligent enough to know when a heavy software is launched thus hang up some of its tasks to free up the resources. Avast Pro Antivirus has been working okay for us so far. However, some feature such as password manager is somewhat limited. Again, some bonus features such as VPN requires that you purchase it separately. In terms of pricing, I find it a bit expensive compared to other antiviruses. I fully recommend Avast Pro Antivirus to anyone who wants a secure and virus free working environment. We use Avast Pro Antivirus for most of our system security needs and to deter malware.
" Ideal to provide protection to all equipment and devices in our home in a very efficient way." Excellent software for the protection of different equipment such as phones, computers and more, I like it because it has a very simple interface, with great customization since it allows to change the background issues of the same, its registration and installation is very simple does not take much time , offers protection in different ways from the home network, access to pages, the Wi-Fi network to prevent any person or non-guest from accessing it, daily analyzes to detect viruses, malicious sites, malware and more before they affect our equipment in addition to that you have configurations in which we can tell you not to interrupt us while doing some action on our computers, which is why I consider it to be a very complete antivirus with great support. In mobile phones it tends to have a lot of publicity, so sometimes it's annoying, but in terms of operation, it's great. An antivirus that complies with what it offers is suitable for the business level as well as for the protection of the home, which is why I recommend it. I decided to use Avast Pro Antivirus to be able to provide a much more complete protection to my home computers because this software protects our internet networks as well as our equipment from any type of virus and the fact that it is very easy to use is even more beneficial since it is not necessary to pay a technician to perform the installation or configuration of the same is why we are protected from any hacker or identity theft and away from all vulnerabilities that can be found when browsing or downloading from the Internet. "It keeps the system free of viruses"
Avast is an excellent antivirus because it includes great functions such as the password manager and the network scanner to detect any virus that can infect the system. This antivirus also monitors every activity that takes place within the system to detect any malicious software so that at all times the system is protected. We have been using this antivirus within the company for a long time and so far I have not had any kind of problem with this software. According to the use I have had through the use of this antivirus I can recommend it since it performs its function correctly. "The best way to keep my computer away from annoying viruses!" Since I have been in high school, I have used this excellent antivirus to protect my files. It has an effective system that is updated daily, keeping the virus database always up to date. In addition, the current version brings many benefits, now we can also protect our smartphone, and an intelligent analysis system which can identify general computer problems, WIFI threats, and malwares. We can choose the basic shields of protection to be out of danger of becoming infected in different ways. Avast has an excellent and attractive interface! and it's very intuitive! Sometimes I am forced to restart the computer so that the analysis has an effect on the system, and in those moments it is when this and working on some important project. Another thing is just the free version is likely that we can not enjoy 100% of the benefits that this wonderful antivirus offers us. Avast is a well-known antivirus, so if you want to keep your computer clean and free of viruses, you know what to use! I work in an organization that is dedicated to marketing and design, and we are always receiving USB from clients, however, we have had many problems with our work teams. Whenever the computer detects a different USB it analyzes it treated to disinfect any virus or malware that may exist in the device. In addition, we can program intelligent analyzes at times when we do not use the computer. "is one of the best antivirus"
the best thing is undoubtedly how light it is since it does not require many computer resources and has an automatic update process daily in its database of virus definitions. Avast Pro Antivirus is a very good program. It includes some conveniences, such as a password manager and a network scanner. One of the features is that it also protects my computer from Internet redirection, a common trick used by identity thieves and malware distributors. Best of all, Avast Pro Antivirus makes sure that the configuration of the Domain Name Server (DNS) of my system is not hijacked by a malware that then redirects my browser to malicious websites. Not all antivirus programs have a feature like this. It also monitors behavior to detect dangerous software by observing how it acts on the system. I like the fact that I do not have to worry about viruses while I'm using Avast pro. I have been using avast for about 7 years now and I have not had a problem with virus. It is the best software for antivirus protection nowadays. It is really light in comparison with other software. I recommend 100% avast pro because I am approximately 7 years old using it at home and 5 at work and I have not complained about it. It has an excellent performance and I feel satisfied. Since I'm using avast pro on my computer both at home and in the office. I have not had any problem with viruses. avast has satisfactorily fulfilled my expectations and also those of my co-workers. It does its job perfectly. I hope it continues to improve and that it continues to be updated. ""Avast Pro Antivirus The best software of the moment!" Encompassing all versions of Avast antivirus, I can say that it is the best protection software and the most complete one that I have tested, in my case using avast pro. It allows me to keep my computer safe and free of viruses or malware and it makes it easier for me to do my work without having to worry. another thing that I like about avast that analyzes the files in real time. Monitor the behavior of the system and let me know if there is a problem. Even the free version you found and eliminated things that other antivitus do not do. You could not find the stuff that Avast found. Actually, I have few complaints of avast. for me it is the best virus protection software I know. although sometimes it exceeds in protect and I have to pause it to install or open a file. It should improve the exclusion of programs that are not malicious, but classify them as such. He recommended 100% of the time to avast as the best antivirus, every time they ask me about a program to protect their computers. I just tell them that avast is the best of all and do not look for more. On the labor side, Avast has managed to solve virus problems for many years, allowing workers not to worry about having to take care of viruses because avast is your perfect assistant. "excellent software for protection, very satisfied. " It was being used to protect all their Windows infrastructure there were some desktop machines for developers and main servers with the software. Avast was used to protect this infrastructure from external attackers, viruses and any other threat. I like it because it worked seamlessly, it didn't bother or interrupted our daily job like other antiviruses. Also protected desktop machines immediately from malware inside pendrives, websites with suspicious behaviors. Servers machines were also protected from an external source. Avast Pro Antivirus has few details that have surely improved over time. In many occasions, the functionality features can be slow due to the use of pages that enter our servers. For this, this tool allows us to deal with those cases that bother us and especially the security of our equiptment, with the protection of passwords. I have no complains about it, except sometimes it protects too much when you want to do some advance stuff in your os. But it doesn't affect average users. I also think that licenses should increase their expiration time, sometimes very frequent updates are annoying but they are important to keep the equipment protected. It's great for a corporate environment and you don't want to spend time implementing your own security. Even if you are a small company you should use it and it will protect you from any threaths, highly recommended. it's important to have secured system. We were using Avast Pro Antivirus as a primary anti-virus software for all the systems across all departments It solves the major problem of a virus, malware. All systems which are assigned by our organization, as well as employees who use their own systems, gets installed with Avast Business Antivirus. "Inexpensive yet robust virus scanning tool for small business"
It's easy to get started with Avast, with a free entry level "trial" package. Once you've used the free version, there are tiers into which you can upgrade. From there, you can schedule daily/weekly/monthly virus checks and select how thoroughly you want to scan to be. Best of all, Avast's "Real-Time Protection" will catch you before you open something you shouldn't and places suspect files in a "Virus Vault" so they can't infect your computer. Avast also features "Secure Line VPN" which can be added as part of the "Internet Security" tier, which have also used in the past and have been happy with. Despite being satisfied with the features of Avast Pro for the better part of 3 years, the system is constantly trying to get me to upgrade to higher tiers. I wish there were a "Don't ask me again" option, but I understand that they are trying to upsell me! Avast runs natively on Android OS, but not on iOS, so my iPhone cannot be protected with Avast. That's a bummer. It can't hurt to give it a try, especially with the Free option they allow to get started. Give it a spin and see if it works for you. I needed an inexpensive virus scanner for my home office and Avast fit the bill. It works without me having to remember to do anything. I set the schedule to run automatically at 2:00 AM -- I run basic scans 6 days a week and then a full system scan on Saturday. Avast is an excellent antivirus which can detect any type of virus that can modify and damage our systems. One of the things I like most about this antivirus is that it keeps constantly updated and keeps the system protected in real time without slowing down any process. In the computers with few resources in which we have tested the antivirus we have noticed that it tends to slow down the system a bit. Avast of the best antivirus that you can use within your computer since it performs the work efficiently at a very low cost. Avast has given us a very good protection in our computers, since it keeps the system free of viruses that can turn into a setback. "the best antivirus to protect my computers." I like its efficiency when it comes to tracking and eliminating threats on my devices, it seems to me that it is a very simple application but at the same time very powerful that quickly detects any vulnerability in the files. I really do not have anything negative to mention about Avast. I recommend using the free 60-day trial to check the effectiveness of the application and after that I'm sure you'll continue for more because Avast is a super antivirus. previously I lost a lot of information because the viruses that invaded my computer damaged them, but since I use AVAST to protect my devices that problem was solved, since this antivirus is really efficient. I like that it is easy to use all the options that have help to prevent viruses from entering computers, I like that it is fast efficient and detects any threat present in the computer in a fast and efficient way. the price I think the price is too high, the company should lower the prices of the antivirus a little bit, the rest I like is very good antivirus. I recommend avast because it is an antivirus that helps the computer is not infected with any virus or malware, is easy to use have many options to configure the type of protection you need is very good program I recommend it a lot. It solves many problems in the company now computers are better protected against any amaneza, also saves a lot of money in sending computers to the technical service since before when avast was not used the computers were badly damaged having many failures in the operating system due to problems caused by the viruses, but thanks to avast this does not happen very often. Avast es un gran antivirus, con el paso del tiemp el mismo ha ganado calidad y seguridad en cada modulo que el mismo tiene, la proteccion en tiempo real es excelente y siempre mantiene al dia su base de firmas contra ataques por virus informaticos, a nivel de consumo de memoria en el sistema este se maneja bastante bien el sistema se mantiene estable mientras el antivirus trabaja en segundo plano. En ciertas ocaciones el antivirus detecta amenazas en algunos ejecutables que en realidad son confiables, y en ciertas ocasiones hay que esperar a que la base de firmas de virus se actualice para ir bloqueando ciertas amenazas que son detectadas con anterioridad, las actualizaciones del aplicativo si hacen pesadas a medida que salen y al momento de actualizar se pierde la conexion con el servidor, esto nos obliga a reanudar la descarga desde el principio. Se deberia mejorar al momento de lanzar las actualizaciones del programa ya que en ciertas ocasiones se pierde la conexion al momento de bajar los paquetes de actualizacion, en cuanto al consumo de recursos este los maneja bastante bien pero se deberia optimizar para equipos con menos memoria RAM que la recomendada. Se deberia pensar proteccion basada en la nube para que las firmas contra los ataques sean mas dinamicas. Con la ayuda del Avast logramos contener unos ataques por virus troyanos en el cual se nos vieron afectadas varios equipos y algunas carpetas compartidas de los servidores, avast tambien nos bloquea las amenazas que recibimos por correo bloqueando los ataques de virus y colocandolos en cuarentena para luego ser analizados. "the best antivirus on the market"
I recommend avast antivirus for being a software that helps keep our computers free of viruses, excellent to be used both at home and at the business level and within its benefits grants a period of 30 days free trial.
" Avast was one of the antivirus that saved my computer"
The best of what I can do is that it is free apart it has an incredible defense against spyware and malware, in addition to detecting viruses that is not another antivirus Detected on my PC. That is why I say that my computer, updates itself, does not have to be enslaved Thinking that you have to update it in a day and the best that you can grant a license for 1 year that can be renewed after completing this year, is also protected in real time and connected in a device very well, in my experience with other antivirus only neutralized the virus and not delete it when used for a while 2 years ago does not change the antivirus. Despite all the good things, one disadvantage of this program is that without the internet it is impossible to update it, which can be dangerous, because when I take the lapto to places where I do not have access if it is not updated I can be in danger, sometimes it also has failures with the protection of personal data and the IP several times I have been hacked, eliminates viruses but sometimes I get the feeling that the pc is slow is because it does not eliminate garbage or temporary files, so you should create options for this they can include these items. Avast is definitely the only program capable of detecting those impossible viruses, I recommend it 100% since my experience has been the best, the small details and disadvantages are part of the growth, as for me it is still the number 1 in what concerns antivirus. . Problems solved a lot, as I said except my computer from a virus that no other antivirus could detect that makes it my preference, let's say that avast is like the doctor who cured losing years of work on my pc. What I like most is that it has very complete functions and has very good Web protection, email, P2P protection, firewall, and it is updated very frequently. Easy installation, very nice interface and easy to use. Automatically scan any device that is connected to the PC, detecting and blocking any danger. It also protects my computer from websites that may be infected and can host viruses, worms, Trojans, etc. on my PC and also monitors instant messaging and email programs. It is updated daily and provides protection in real time. If the speed of the internet is slow when the Avast is updated, the speed of execution of other programs may be affected, which represents a significant loss of time and low productivity. I have been using this antivirus for several years, and I am sure of its efficiency, so I recommend it to anyone who wants a good shield in real time for their PC. In my work I need to copy from memory devices or download from my email server the documents sent by my students, in addition to consulting various information through the internet, so having Avast gives me the peace of mind that my PC is protected. "Antivirus and functional antispan solution and low cost." When we were evaluating solutions to protect computers, we evaluated or considered several points in the evaluation. one of them was the cost, but more to one was the service of protection and the low consumption of resources that should have the solution with which we were going to choose. that's why we select avast. the update of your database is daily and keeps us informed in reports if there were or there were attacks on the computer the previous days. Notification alerts are very good and are not annoying as they only emit an alert sound that is already identifiable by everyone. The memory consumption is very low and this does not slow down the computer. when we want to turn it off to execute some action of tranfer data because we require it in some areas problems usually arise because it shuts down for a few hours and many times the transfer of data takes more hours and we have to resume and this is solved by monitoring when we execute transfers . Before choosing an antivirus software, consider using avast, insert your list of providers to evaluate avast and validate its functionality before selecting. gave us a solution of low CPU and memory consumption, with a constant update and ample record of the PCs' report. It is very fast in detecting virus and disinfecting files, its comprehensive in performance because it covers all aspects of computer protection from downloads to scanning websites and blocks harmful sites, I loved the vpn because it enabled me to surf anynomously which made me feel more secure. The password features has made it easy to sync passwords between devices making it easy to recover forgotten passwords. Affordable at less than $40. Its amazing because it covers everything that one requires from an antivirus but it would be more useful if they added a firewall. Best virus protection software.scan all system and remove only virus from our system with damage anything and It detect all kind of viruses and already alert the user regarding risk which they are going to face and automatically without deleted any kind of data from extranal device it will show us our important data with full recovery mode so I liked it and we can also use free trail of 30 days thats amazing and it's working properly and support us full security so don't need to worry about any kind of risk it provide us full security and protect our secret files and data from extranal virus attack and another thing is it automatically detect virus if we attache any external device. Every thing is good because I think if anyone provide us a software which is freely available in google and it's open source. Currently I am using free trail of avast. I have saved all of my data in one pendrive but due to virus I am not able to open the files but after using avast pro I have accived my all data without any loss. Ability to prevent and fight all sorts of threats, easy and faster scanning, protection against external devices, security against Unauthorised Acces, keeping data confidential, capability to repair broken and damaged files, warnings against unsafe sites, flexible even to mobile phones. Avast Antivirus is prety good, but somehow it has high cost of subscriptions compared to its competitors. Finding the best Antivirus software that provides full protection for your PC is not an easy job. However, Avast Pro provides you with a full package solutions. Avast Pro has helped in improving the productivity of our organization ; supper speed for our computer gadgets, lower cost of repair, security for our information aganist hackers and fraud, our workers have installed the software on their mobile phones, the organization privacy rights protection. "Una opcion de antivirus personal"
Detección de vulnerabilidades siempre y cuando la aplicación este lo mas actualizado posible. Eliminación de virus encontrados por medio de la red y dispositivos conectados en el equipo. El usuario puede tomar la decisión de que acción tomar en caso de detectar una amenaza. Requiere conocimientos previos del uso de la aplicación ya que de acuerdo a mi experiencia mucho de los usuarios por no conocer sobre archivos específicos al detectar una vulnerabilidad eliminan el virus incluyendo el archivo del sistema ocasionando que el sistema operativo deje de operar. Protección a tu equipo personal de vulnerabilidades y ataques ciberneticos, acciones de cuarentena y seguridad del equipo antes ataques que ponen en riesgo sus datos.
" Security and detection of possible threats"
2. It has a powerful manager that allows you to scan emails to ensure that nothing unusual happens through links, files or messages. 3. Another important aspect to note is that it has extension for Google chrome that indicates when a page is safe to visit or potentially dangerous to visit. 4. It has a fairly simple interface, it also has a good database that is updated constantly. 1. It does not have an advanced firewall detecting all possible threats. 2. The configuration and the details of the user interface, despite being quite simple, do not take into account integrations with other more relevant applications. Very good antivirus perfectly integrable, with personalization for browsers of first level and with very accessibility, installation and use for users of medium and large companies. Regarding the integration in the company has not had great difficulty. The simplicity in the use allows to have a good accessibility and scanning speed quite acceptable. The learning curve is focused for users who have a prior knowledge for the use and detection of viruses since it includes multiple commands and buttons. Some bonus features require separate purchase. "Best Antivirus software for use today"
There is no way to use internet without being cautious about the malware and viruses floating around the internet. I like that avast does not slow up my PC and does a decent job. Sometimes it runs on the background and block certain application which is not required and I find it a bit annoying. In terms of businesses security is a must and Avast helps to secure the tasks we are doing day to day and protecting the data from unwanted use. "Easy to use and non-invasive"
Intuitive features, no intrusive, lots of additional great features geared towards improving and maintaining health of computer and programs. Did take some time to get to work with some third party remote monitoring programs that our IT person uses off site to get access to our machines from time to time. Securing network, wired and wireless devices, protecting confidential client/business information, and monitoring/improving hardware/software health. Poca cosa que mejorar. Solo que continuamente ofrece ampliar los servicios. "I use it on all my computers and mobile devices"
it is by a long way the best antivirus software with heaps of remarkable addons, from browser addons to quarantine and custom shields. it is actually wonderful that it is able to update in the background, does not devour lots of resources and in no way had any problems putting in software program. Can perceive all the big threats and now does no longer let minning websites use your laptop sources for minning cryptocurrency. Anti virus that i think about when i need to remove viruses from my system is Avast. It is the best available antivirus. It is very quick and removes maximum of viruses. It is User Interface is very easy to understand. Some files remains even after uninstalling the software. Kepps my system safe . Very great antivirus for the all harmful viruses. It removes maximum of the viruses. It protects at very great level from the virus attacks. It User Interface is very simple and easy to understand. It files still remains after uninstalling this software. Protecting my data from virus attacks. "Started out good, went downhill"
Avast was very easy to install and set-up, very easy to use. After using it for several months it started putting a horrible drain on my system resources (using large amounts of memory and processing), causing my system to lag to the point it was almost unusable. When it worked, it worked very well. I would try a trial version to see if it meets your needs. While it was working, it was a very nice antivirus program, but ended by switching to a more stable program. Avast is fairly unobtrusive, as far as antivirus software goes. It works as well as anything else, as far as I can tell. Only make sure you get it with a discount, and wait to renew until a discount is offered. Provides great computer and Android phone virus protection. Easy to install & use. Also catches miner programs. "my experience with avast pro antivirus"
Some of its features are too advanced for the average user. * We monitor all Avast Pro Antivirus reviews to prevent fraudulent reviews and keep review quality high. We do not post reviews by company employees or direct competitors. Validated reviews require the user to submit a screenshot of the product containing their user ID, in order to verify a user is an actual user of the product. Hi there! Are you looking to implement a solution like Avast Pro Antivirus?